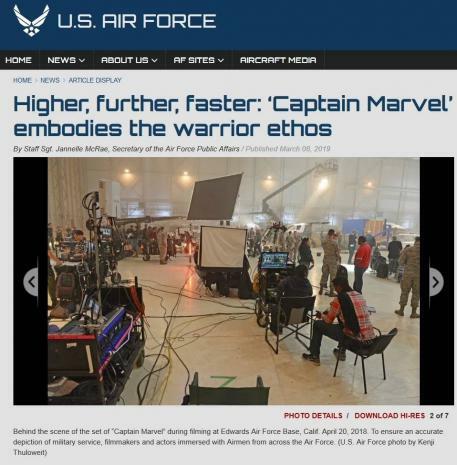 The US military is at the center of the plot of Captain Marvel. The film's protagonist, Carol Danvers, is a former US Air Force pilot who becomes a superhero after absorbing the powers of an advanced technology created by another US military scientist. (That scientist happens to be a member of the advanced alien race known as the Kree, who for unexplained reasons decided to do groundbreaking military research for, of all the myriad places in the universe, the US of A).